If You Like Cows That Type, You’ll Love Crayons That Talk! Sometimes it’s not the illustrations that make a children’s book so enjoyable to read, but the rhythm and sound of the words. The cows are on strike! That barn is cold, and they are demanding electric blankets! What will Farmer Brown do? My daughters love the sound of these words as I read the adventures on Farmer Brown’s farm. Click Clack Moo is a Caldecott Honor Book, so you may have seen this book around! For more great children’s books, click on the button below! 11 Responses to If You Like Cows That Type, You’ll Love Crayons That Talk! We checked this out last week. It was a BIG hit! I must have read it 30 times in a 24 hour period. Really. I took it back the next day. Its on someone's bday list now! OK, first of all, love love love your new blog background! Next, I will request this book from our library bc indeed, we do love Cows that type! Great post! My kids are both bookworms like yours. Thanks for the tips, we'll definitely put those on the list! Fun! 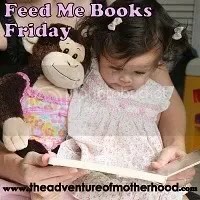 I know I can count on you to recommend delightful books.I love your blog design! It make me want a cold glass of lemonade! I want to get into this. I have some books I read to Jonathan and really enjoy. I've been thinking of doing a post about some of them. Does she do this every week?That crayon book sounds great! We love Click, Clack, Cows! Kids loved reading them when they were younger and requested I keep them out for them. Reminds me of the Chick-fila cows! I'll have to look up the crayon book for the little girl I watch. She loves books! Those sound so cute. Thank you, they will make great gift ideas. These look like fun books…..my daughter loves books that rhyme so I know she will enjoy the crayon one. Thanks for sharing…. I'm adding the crayon book to my list! Thanks for the suggestion! You're so right … Click Clack Moo is a fun book to read. I could hear it in my head when I was reading your review. And I love the ending! !We'll have to look for the crayon book.